Get Your Free Retirement Guide Now! 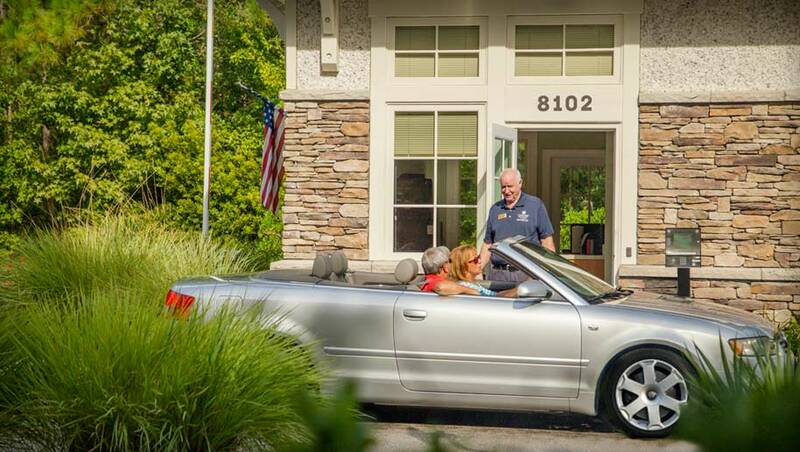 At Compass Pointe, every day is a getaway where you can experience resort living at an affordable price. 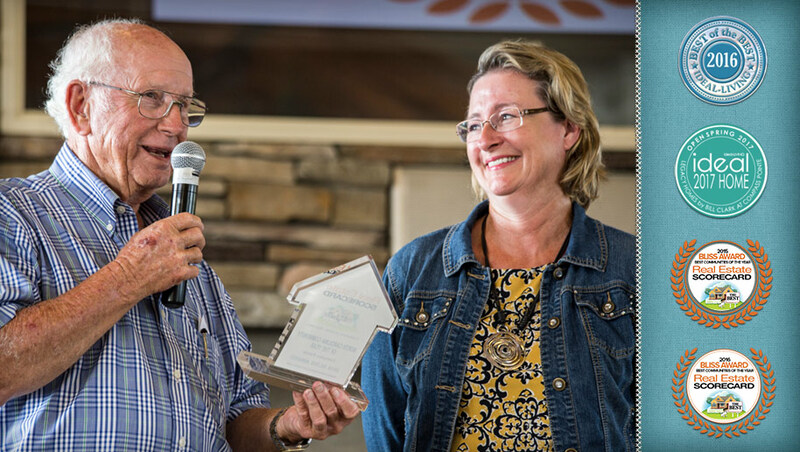 Voted “Best North Carolina Community of the Year,” Compass Pointe offers incredible value and low taxes. 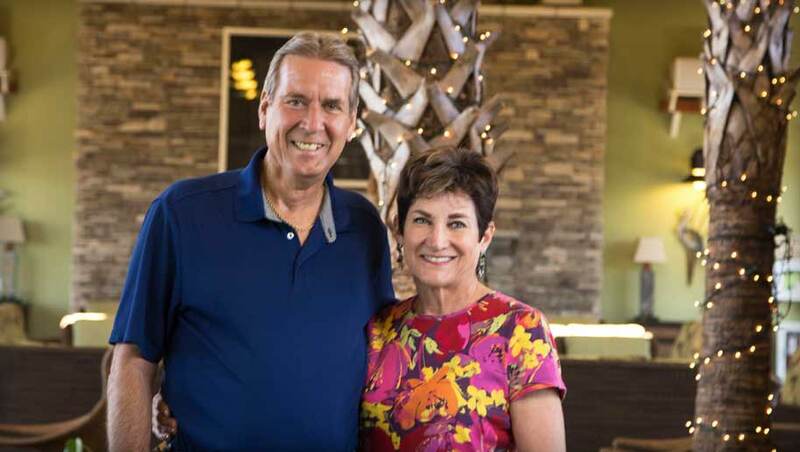 Compass Pointe’s amenities, location and residents make it an ideal retirement destination. 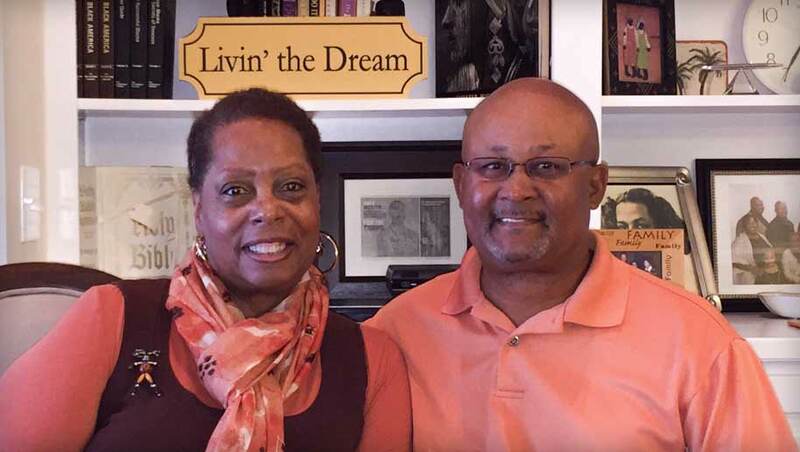 See why so many “retire down south” to Compass Pointe and sunny, coastal North Carolina. 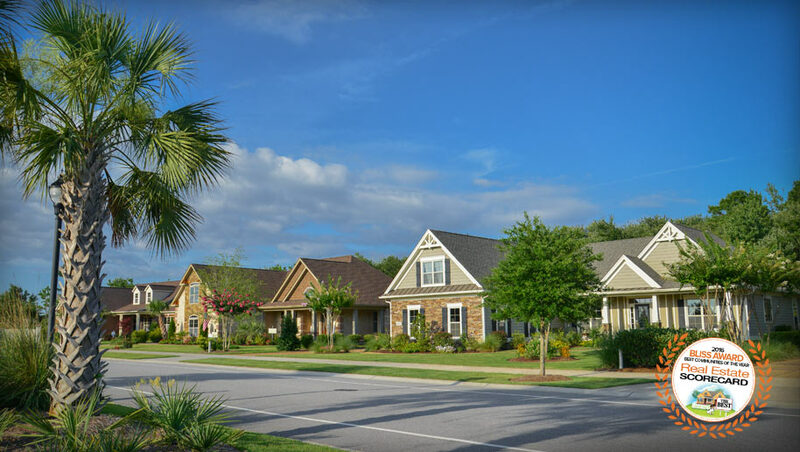 Learn about the Wilmington, NC area, explore the community and see why Compass Pointe is truly one of the best places to live in North Carolina. Taxes — $0.485 per $100 assessed value (ex. $400,000 = $1,940/year). Relish every day in the luxurious resort-style amenities. 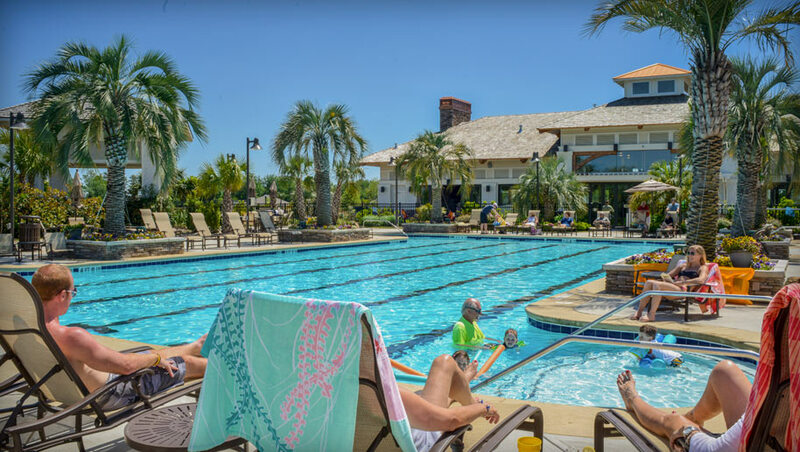 Enjoy time with family and friends swimming at the resort oasis pool, playing tennis or pickleball, catching fish in one of the many stocked ponds, or riding bikes on the miles of nature trails. You can also take a yoga class at The Wellness Center, or get pampered with a rejuvenating massage in our exclusive, members only spa. 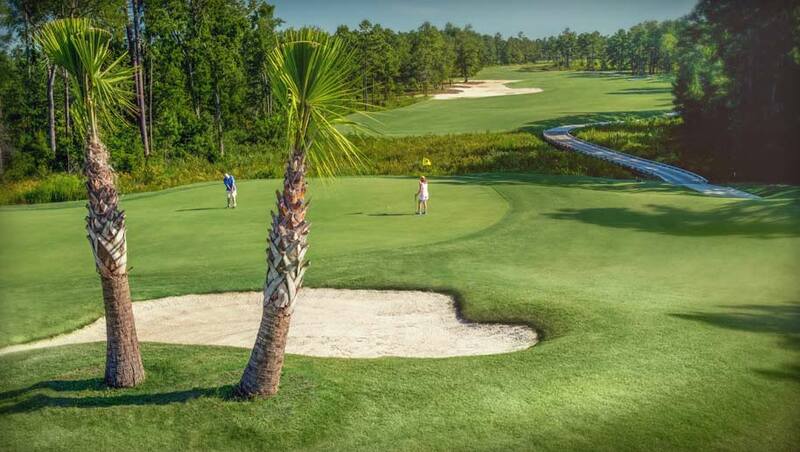 The Compass Pointe Golf Course is not only unique, it is one of the most enjoyable courses to play in Southeastern North Carolina. 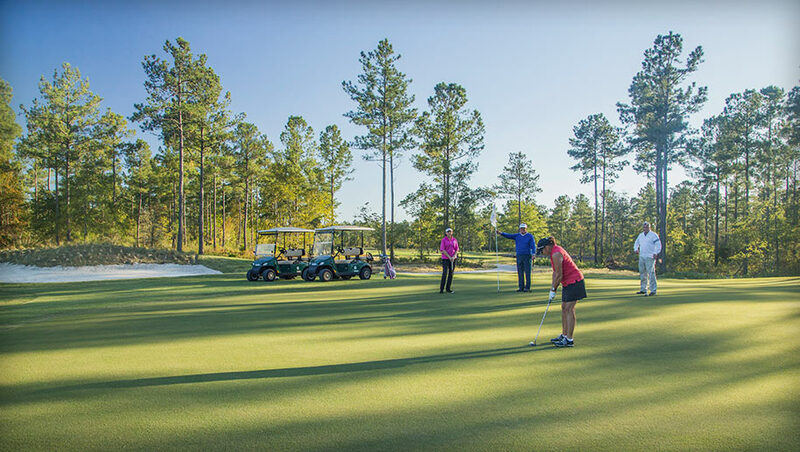 It offers scenic views, elevations rare to the coastal area, and flexible play opportunities to accommodate all skill levels. Gaze at nature with your morning coffee or watch spectacular sunsets over an expansive pond or golf green; there is unique character in each of our pristine homesites. After selecting your perfect view, you can choose from a variety of home styles to fit your needs. Our impressive homes are inviting and comfortable with sophisticated, quality exteriors and desirable interior finishes. Most floor plans are open and spacious, creating an environment for entertaining family and friends, and feature screened porches to enjoy the pleasant weather year-round.We offer a variety of options that allow flexibility to fit your style, and work together to create an overall pleasing look. Choose from low-maintenance villas, comfortable cabanas, Florida-style patio homes, and elegant custom homes. Each have various floor plans to choose from that reflect your personal taste and are functional to your lifestyle. These floor plans accentuate the natural features of our homesites and are thoughtfully designed for optimal space. Our Preferred Builders have been carefully selected to ensure the continuity of our vision. Southeastern North Carolina provides easy access anywhere with major interstates and byways guiding a short day’s journey from the coast, through major metropolitan areas, to the Blue Ridge Mountains. Coastal North Carolina is home to some of the most gorgeous beaches in the country, with soft white sand and clear blue waters. Landscapes are decorated in canopies of live oak trees with Spanish moss and offer breathtaking views of winding rivers and grassy marshlands. The North Carolina coast is adored for its charm and subtropical climate that features four distinct seasons: warm summers, mild winters, and pleasant springs and falls. 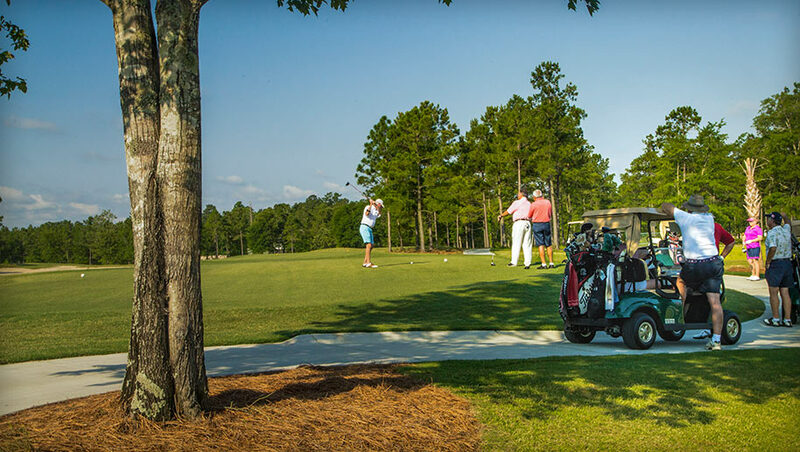 Outdoor activities include golfing at one of the 100+ area courses, boating, fishing, kayaking, biking, and trips to the beach can be enjoyed year round. It’s no wonder why Carolinians exude Southern hospitality and offer a friendly wave to every visitor and passerby. Our big city with small town charm, Wilmington, is known for its mix of culture and entertainment. This includes an array of art museums and historic attractions, live theater at Thalian Hall, an active live music scene, unique shopping boutiques, authentic antique shops, and award-winning restaurants where you can enjoy fine dining before heading out to experience Wilmington’s eclectic nightlife. Our stunning island surrounded by the intracoastal waterway and the Atlantic Ocean. No matter which direction you look on Wrightsville Beach, you will capture the beauty of the coast. Known for its water activities, fishing, and surfing, this beach is the perfect family destination for those who enjoy watching the sun rise or set in peaceful solace. If you want more out of your daily beach trip, enjoy dining at one of the many fresh seafood restaurants, shopping at Mayfaire Towncenter, taking a walk on Johnnie Mercer’s Pier, or surf fishing in Masonboro Inlet. You’ll never run out of things to do! New Hanover Regional Medical Center (NHRMC) is a teaching hospital and regional referral center. As the tertiary care center for a seven-county area, New Hanover Regional Medical Center offers specialty medical and surgical care. 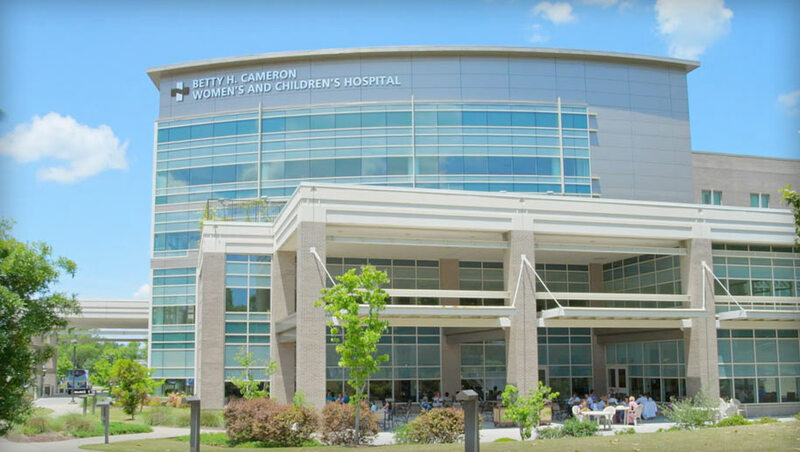 This includes freestanding women’s and children’s, rehabilitation and psychiatric hospitals and one of 10 trauma centers in the state certified at Level II or above. NHRMC Orthopedic Hospital, formerly Cape Fear Hospital serves as New Hanover Regional Medical Center’s home for orthopedic services. The Orthopedic Hospital features designated orthopedic nurses, therapists, technicians, and surgeons who are board-certified or eligible in orthopedic surgery. 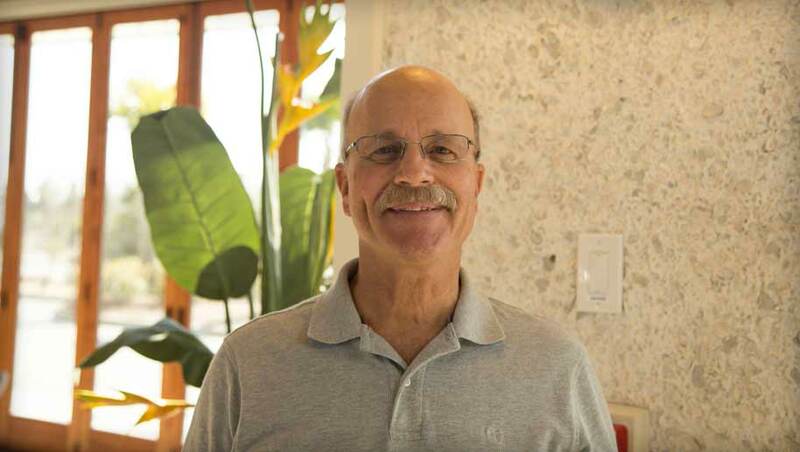 The center includes specialists in hand and shoulder, foot and ankle, and spine, as well as arthroscopic surgeries, sports medicine, and joint replacement. The Orthopedic Hospital also offers a 24-hour emergency department, inpatient and outpatient surgery, respiratory therapy, rehabilitation medicine, diagnostic and imaging services, radiology services, and laboratory services. Novant Health Brunswick Medical Center provides emergency services, maternity care, surgery, outpatient diagnostic testing, and other community healthcare programs. The privacy of a gated community is yours — in a location that can’t be beat: the southeastern coast of North Carolina. You like the idea of moving to a community where you and your family feel safe and secure; where there’s a real sense of community almost “built in” to your neighborhood. At Compass Pointe, this gated community is waiting for you, yet the gates are wide open to your enjoyment of resort-style living.